Global Edmonton is declaring Stephen Mandel re-elected as Mayor of Edmonton. Edmonton Ward 7: Tony Caterina leading with 48% of vote. Scott McKeen in second with 34%. 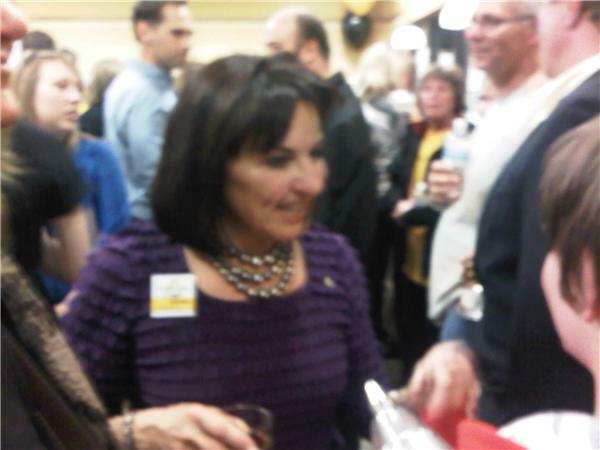 Fort Saskatchewan: Mayor Jim Sheasgreen loses to Gale Katchur by 505 votes. Municipality of Wood Buffalo: Melissa Blake re-elected. Edmonton Ward 6: Global Edmonton declares Jane Batty winner. Edmonton Ward 12: Global Edmonton declares Amarjeet Sohi re-elected. Red Deer: Morris Flewwelling now holds a 1,215 vote lead over Hilary Penko. It's a party at the Osinchuk camp! Lacombe elects Steve Christie mayor with 59% of vote. Edmonton Ward 1: Global Edmonton declares Linda Sloan re-elected. Edmonton Ward 2: Kim Krushell now leads by nearly 300 votes, 23 of 30 polls reporting. Edmonton Ward 3: Dave Loken leading by 500+ votes. Global's Vassy Kapelos speaks with Mayor Mandel about his vision for the city of Edmonton. Listen now. Edmonton Ward 7: Global Edmonton declares Tony Caterina re-elected. Defeats Scott McKeen. Election analyst Michael Phair talks about how the airport issue bolstered candidates in the election. WATCH NOW. 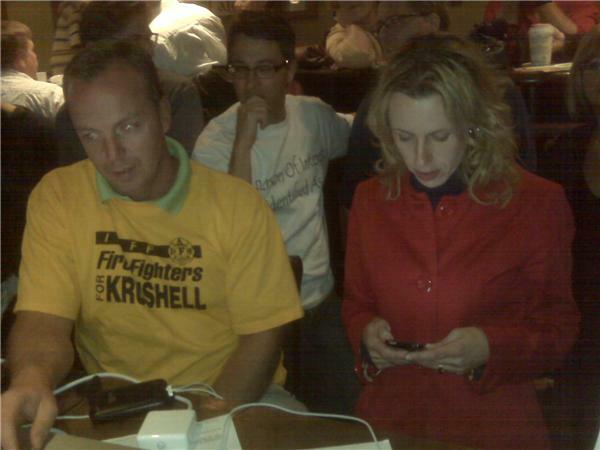 Kim Krushell anxiously awaits election results. The incumbent Ward 2 councillor is ahead by less than 300 votes with 6 polls to go. Cold Lake: Craig Copeland re-elected as mayor with 80.7% of the vote. Calgary mayor hopeful Barb Higgins' political strategist Rod Love says it's too early to count any candidate out..
Strathcona mayor Cathy Olesen has been defeated by challenger Linda Osinchuk. Olesen had served as mayor for six years and focused her campaign on economic, environmental and social sustainability. Stephen Mandel has been declared the winner of the election and will serve his third term as mayor of Edmonton. Raw video: Stephen Mandel addresses supporters after being declared mayor. WATCH NOW. Edmonton Ward 2: Kim Krushell hanging on to lead of less than 300 votes. 5 polls left to report. Edmonton Ward 3: Dave Loken leading by 500+ votes. 6 polls to report. Decision 2010 coverage on News Hour Final, starting moments from now. Edmonton Ward 2: Kim Krushell hangs on to council seat. Wins by 539 votes over Don Koziak. Edmonton Ward 3: Dave Loken wins by 495 votes over Terry Demers. Raw video: Melissa Blake, Mayor of Wood Buffalo addresses supporters. WATCH NOW. Former councillor Michael Phair on what Mandel's victory means for Edmonton. WATCH NOW. 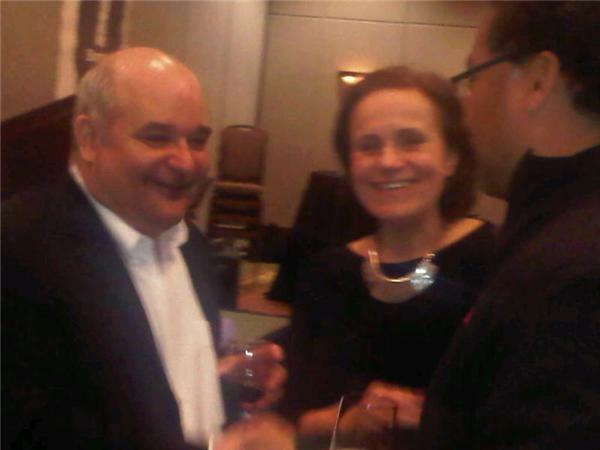 Fletcher Kent talks to Kim Krushell about her tight victory in Ward 2. WATCH NOW. 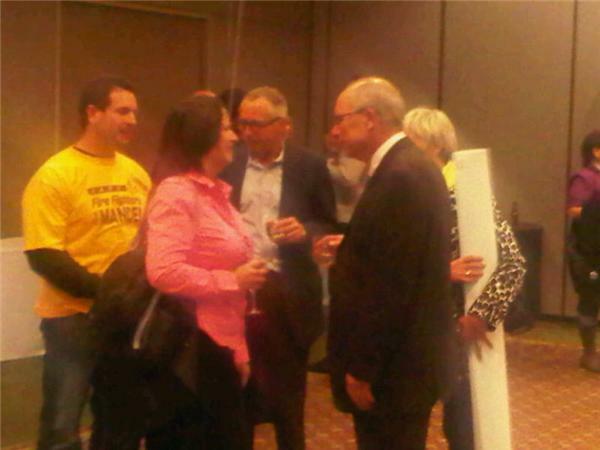 Mayor Mandel talks to Vassy Kapelos about his victory. WATCH NOW.